Release an array of arrows at troops to easily destroy platoons, spreading wide, these arrows can not be avoided and are sure to take care of business. 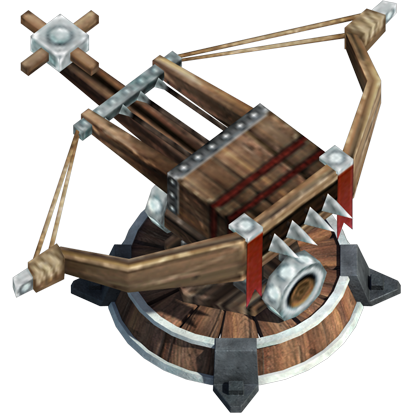 The Arrow Launcher has a huge range, but cannot attack anything that gets to close to it, so be sure to finish your enemies off first! The Arrow Launcher only targets ground troops.